Join the mission to end the Hundred Year War, bringing peace to the Fire Nation, Water Tribes, Earth Kingdom and Air Nomads. 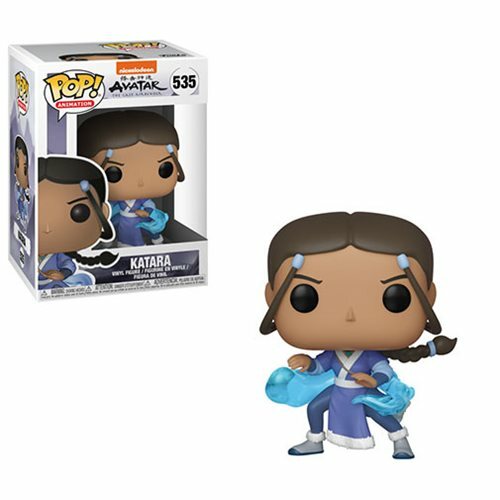 This Avatar: The Last Airbender Katara Pop! Vinyl Figure #535 measures approximately 3 3/4-inches tall. Comes packaged in a window display box. Ages 3 and up.